فروزانی, محمد ابراهیم. (1391). قطب خلاق، راهبرد بازآفرینی مرکز تاریخی شهر. 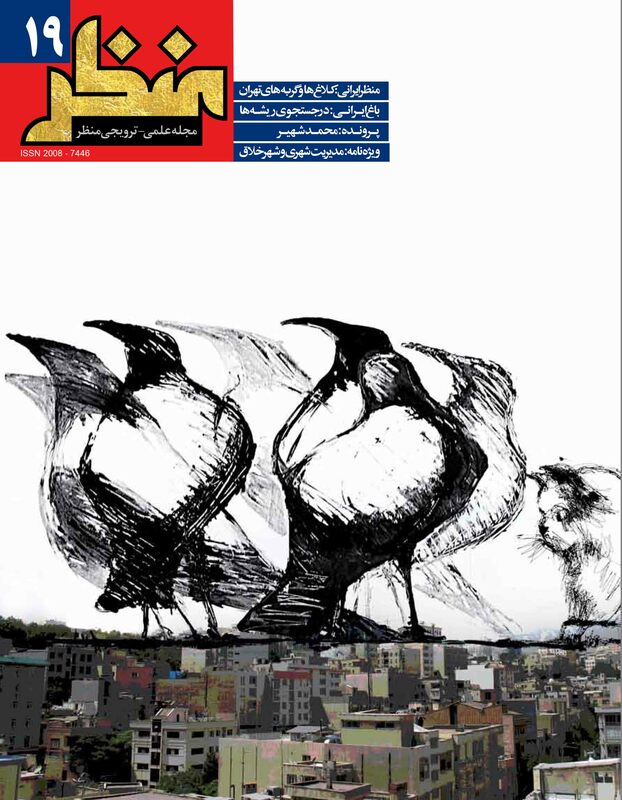 مجله علمی-ترویجی منظر, 4(19), 80-85. محمد ابراهیم فروزانی. "قطب خلاق، راهبرد بازآفرینی مرکز تاریخی شهر". مجله علمی-ترویجی منظر, 4, 19, 1391, 80-85. فروزانی, محمد ابراهیم. (1391). 'قطب خلاق، راهبرد بازآفرینی مرکز تاریخی شهر', مجله علمی-ترویجی منظر, 4(19), pp. 80-85. فروزانی, محمد ابراهیم. قطب خلاق، راهبرد بازآفرینی مرکز تاریخی شهر. مجله علمی-ترویجی منظر, 1391; 4(19): 80-85. نوسازی شهرها و انطباق‌پذیری آنها با شرایط و تحولات زندگی مدرن از اقدامات اصلی برنامه‌ریزی شهری و منطقه‌ای در همه کشورهای توسعه یافته و در حال توسعه جهان به شمار می‌رود. در دورانی که شاهد مجموعه‌ای از تحولات در زمینه‌های اجتماعی جمعیتی (دموگرافیک)، تکنولوژیکی و جغرافیای اقتصادی شهرها هستیم، توجه به بافت‌های داخلی و استفاده از قابلیت‌های آنها برای ارتقای شرایط اجتماعی و اقتصادی شهرها یک ضرورت انکار‌ناپذیر است. نوسازی با الگوهای بازآفرینی خلاق که مبتنی بر ارتباط میان اقتصاد و فرهنگ و تولید مکان‌های خلاق و نوآور است، بیش از آنکه به دنبال رفع محرومیت‌های اجتماعی باشد در پی رقابت‌پذیر و نشان‌مند کردن مکان برای بهره‌گیری از فرصت‌های اقتصاد جهانیِ خلاق و مبتنی بر دانش است. در این زمینه مراکز شهرها خصوصاً مراکز تاریخی از ظرفیت‌های بی‌نظیری برای ساخت و باززنده‌سازی فضاهای خلاق مورد نیاز جهت جذب و نگهداری گروه‌های نوآور و همچنین ایجاد زمینه تعامل و برهم‌کنشی افراد و نهادها برخوردار هستند. در این مقاله ضمن بررسی مدل قطب‌های نوآوری به عنوان مجموعه‌ای از سیاست‌های شهری در زمینه بازآفرینی خلاق و ویژگی بافت‌های مرکزی تاریخی در شهرهای ایران به امکان احیای شبکه شهرهای تاریخی در سطح سرزمین و در راستای توسعه اقتصادی خلاق و دانش‌بنیان پرداخته شده است. Urban renewal of cities and their adaptability to modern living conditions and developments is the main agenda of urban and regional planning in all developed and developing countries of the world. In an era that a series of city transformations in social, demographic, technological and economic geography fields has been witnessed, it is an undeniable necessity to focus on the inner cities and use their capabilities to promote their social and economic conditions. Renovation with creative urban regeneration is based on the relationship between economics and culture, creative place making and also branding place in the competitive global economy to benefit from opportunities for creative and knowledge based activity in economic globalization era rather than seeking to overcome social exclusion. City center and particularly historic zone have the capacity and potentials for building a unique and creative space needed to attract and retain creative class and innovative groups of people and institutions for social interaction and clustering. This paper reviews the model of innovation hubs as a set of urban policies in the field of creative urban regeneration for specifying the possibility of revitalizing historic cities in the country to take on the role of production centers in the creative and knowledge-based economic development. Conceptual model of innovation hub is urban policy for use of science, engineering, media, culture, art, IT and creative design in the process of city redevelopment and revitalization of neighborhoods. Experience in the post-industrial and globalized economy with new studies show the importance of region in the field of urban planning and production process. In fact, we are witnessing the rise of new regionalism. In this form of regionalism and importance of place and geography, urban cores are the major players. One urban region can't be successful, creative and innovative region without a successful urban core and creative city center. In this approach, the communication, interaction and cooperation within and out of the region lead to the higher competitiveness of the region. Therefore, Networking between urban areas and creative cores are considered the main priorities. The strategic axes of innovation hub model are Connectivity and Accessibility, Governance, Clustering environment, Talent and social environment, Natural environment as well as Cultural and physical environment. Strategy and policy is necessary for each of the previous axes in order to create smart and creative places. Florida and Laundry illustrate the importance of environmental quality in attracting innovative and creative people and raising social and intellectual capital. Creative capital in the global economy is the most important for achieving higher profits. The important point is that creative people are often attracted to environments with more presence, talent, technology and tolerance. Diversity and tolerance are more evident in environments with more presence of cultural and artistic talents. Such environments are also more attractive for scientific and engineering creativity. Implementing innovation hub policies are more likely in places such as historic zones, seashores and abandoned logistic urban areas. It is interesting that historic zones in the center of major cities of Iran include innovative features for creative place making. Architectural and cultural heritage has evident presence in these sectors. Diversity in urban construction from different historical periods as well as multiple functions in these vibrant cities is quite obvious. Therefore we can guess that the innovation hub model in historic area can attract creative capital for architectural revitalization and economic redevelopment in an effective manner. This Innovation hub policy can activate economic developments in other parts of the city by using creative and knowledge base activity in the historic region. The country needs to make national policy to promote innovation and creativity in cities, but local urban managements can only use cultural and economic capacities of the central and historical zones for planning development in the cities. Hypothesis: Implementing a conceptual model of innovation hub in central parts of cultural-historic cities of Iran can be useful in creative regeneration of spatial structure and daily functions of valuable historic parts of the city.